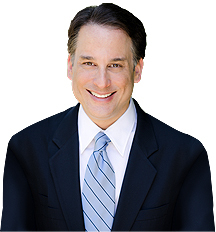 When it comes to buying or selling real estate in Los Angeles from Los Feliz to Malibu and everything in between, David T. Kessler’s knowledge, integrity and enthusiasm are rarely found in today’s Real Estate Market. He prides himself on delivering the highest levels of professionalism, client service and attention to detail to his real estate customers. David is equipped with product knowledge, neighborhood information and market data and is able to deliver results in response to his buyers’ and sellers’ needs. Respected among clients and associates, alike, for his direct and honest manner of conducting business and for the attention he gives each client, David has an excellent reputation and a personality that have won him numerous referrals and repeat clients from his satisfied buyers and sellers. David’s success and reputation come from hard work, determination, ingenuity and a commitment to excellence. David truly believes in establishing a personal, strong and honest connection with his clients. Being a good listener, knowing the product & market and being innovative defines this connection and, as a result, he earns the clients’ respect, gratitude and loyalty. David provides accurate comparable pricing, tailored marketing, strategic advertising, and a detailed approach from the first showing to the close of escrow. When acting as a buyer’s agent, David walks every buyer through an educating process of pre-qualification, understanding the marketplace, looking at as many properties as needed to make a confident purchase, negotiating effectively, financing, the physical inspections, and then the final walkthrough prior to the close of escrow. If you are eager to take advantage of a distinctive brokerage, one that is informative, straightforward and valuable – contact David T. Kessler to experience the difference.